Open This Weekend – It's Where I Want To Be . . . Living In The Sweet Virginia Breeze! TGIF! That means it’s time for the Friday Open House Theme Song of the Week. Homes are Energy Star Certified and built by master builder Sekas Homes. It’s not a done deal, but there’s been some movement. And this time, first-time homebuyers may not be the only ones to get the tax credit . The senate version of the bill under discussion would also include repeat buyers who have owned their current homes for at least five years. Instead of the $8,000 credit that first-time buyers would receive – repeat buyers would be eligible for up to $6,500. The bill is still being negotiated. So stay tuned! 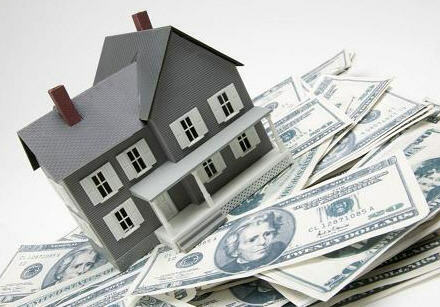 “The first-time home buyer tax credit continues to push heavy autumn sales in the MRIS region. For the week ending October 17 there were 2,630 pending sales, up 75.3 percent from the 1,500 sales seen during the same week in 2008. Over the last three months there have been 8,672 more signed purchase agreements than there were during the same period last year. New listings are a different story, with 4,314 fewer during the last three months compared to last year. When you are ready to buy or sell a home, make sure you contact The Belt Team for a specific analysis of the neighborhood you live in or the neighborhood you want to move to. Custom craftsman style home to be built by Clear View Homes in sought-after neighborhood in Town of Vienna! Gorgeous open floorplan, 9′ ceilings, gourmet kitchen w/center island, family room with gas fireplace, luxurious master suite with gas fireplace and oversized walk-in-closet* Upgraded finishes * Walk everywhere! Still time to customize! Madison HS! Directions to open house: From Tysons: Route 123 South into Vienna, Left Park St, Left Talahi Rd, Left Glyndon St to #603. Directions to location of home to be built: From Tysons: Route 123 South into Vienna, Left Park Street, Left Talahi to Keller Williams sign on lot on left at #206. Weekly Market Update – Nothing New . . .
We went out to dinner at The Melting Pot last week. The waitress had no idea that I was “in the business” – but in the course of conversation, she shared her excitement about the home she & her husband had just purchased with the aid of the First Time Homebuyer Tax Credit. So – cheers to you Cathy! “The story in the MRIS region’s housing market remains the first-time home buyer tax credit, which is spurring high levels of buyer activity in its final days. For the week ending October 10 there were 2,936 pending sales, up 68.1 percent from the 1,747 sales seen during the same week in 2008. The heavy sales activity is combining with relatively weak new listing activity to draw down the total inventory of available homes for sale. Open This Weekend – Bet You'd Live Here If You Could! The Belt Team has a Fan Page on Facebook. Come join the fun! Weekly Market Update – Last Chance For First-Time Homebuyers? Interest Rates Drop! Equity Restored! “Home sales in the MRIS region remain robust as fall progresses and the final days of the final days of the federal tax credit for first-time home buyers draw closer. Home sales for the week ending October 3 were 54.4 percent higher than during the same week a year agojumping from 1,881 to a whopping 2,937. Activity should be very strong for the next two weeks as more “last call before bar close” buyers move to take advantage of the credit. “Interest Rate Drop Fuels Demand! According to Freddie Mac, 30-year-fixed-rate mortgage average fell further to 4.87 percent with an average 0.7 point for the week ending Oct. 8 from 4.94 percent last week. Such low rates are spurring mortgage demand, said Frank Nothaft, Freddie Mac vice president and chief economist, in a statement. “Interest rates for 30-year fixed-rate loans were the lowest since mid-May; 15-year FRMs were at a record low since data were first collected in 1991 and 5-year ARMs also hit an all-time record starting in 2005. Compared to a year ago, consumers could shave almost $134 off their monthly mortgage payments on a 30-year fixed-rate loan for $200,000 by refinancing. Lastly, watch this video for some interesting news – like the fact that the Federal Reserve reports that Owners’ Equity is up from 41.29% to 43.1%. This 1.2% increase translates to $2 TRILLION dollars of restoration to homeowners’ equity! In the meantime, when you are ready to buy or sell a home, make sure you contact The Belt Team for a specific analysis of the neighborhood you live in or the neighborhood you want to move to. So what does a MILLION DOLLARS buy you these days? Here are some samples in the Washington DC/Virginia/Maryland region (descriptions are taken from listing agent comments in MRIS). There’s quite a range! 4 bedrooms. 4 1/2 baths. Built in 1996. 1 fireplace. Almost 1/2 acre lot. 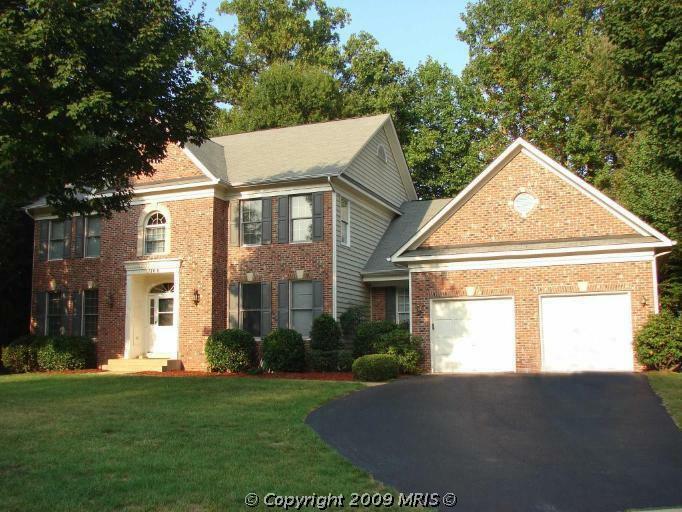 Beautiful, spacious, upgraded colonial in sought-after sub-division. Walking distance to metro. Hardwood floors on main level, new neutral carpeting and expansive family room with gas fireplace insert. Spacious gourmet eat-in kitchen with new granite tops. Fully-finished basement with rec room, office, bedroom and media room. Lusciously landscaped corner-lot backing to woods. 4 bedrooms. 3 1/2 baths. Contemporary home built in 1997. 1 fireplace. 3.85 acres. Gorgeous secluded waterfront estate with over 5,700 sq ft of quality living space in main house. Over 2,000 sq ft of decking over looking the Occoquan Reservoir. 2 docks and boat house, plus separate 3 level office building – 2600 sq. ft.
7 bedrooms. 5 full baths. 2 half baths. Built in 1933. 2 fireplaces. Almost 1/3 acre lot. Walk to Hopkins University, upscale restaurants, famous Guilford Gardens. Fantastically updated 6+ bedroom home with gourmet eat-in kitchen, new family area, mudroom off drive and garage, formal dining room, living room, sunroom, 3-story staircase leads to master bedrom, sitting room, dressing room and his/her new baths, 4 additional bedrooms, plus lover level au pair suite & rec room. Glorious yard, quiet private street new paved road. 4 bedrooms. 3 1/2 baths. Built in 2009. 2 fireplaces. .13 acre lot. BRAND NEW Arts & Crafts home features 2200 sq ft on 3 finished levels with 9-ft ceilings on each level. Gourmet kitchen w/breakfast bar, cherry cabinets & granite. Separate dining room w/bay window. Living room with gas fireplace opens to covered rear porch. Period molding. Lower level rec room, bedroom & full bath open to covered, rear patio. “Hot shell in great location Historic District”. 5 bedrooms. 4 full baths. 2 half baths. Built in 2003. 2 fireplace. Over 14 acres.This Estate will WOW you! Almost 7,000 custom sq ft! Solar panels heat the in-ground pool, pond. 4 other buildings with many more specialties- make this a home that your clients must see to believe! Not in a subdivision, no HOA’s. Totally private within minutes to the town of Culpeper! 4 bedrooms. 2 1/2 baths. Built in 1969. 1 fireplace. Approx 5 1/2 acre lot. Truly exqusite 5 acre lot with house and barn/stable. Located on highest point of Seneca Rd. Great Horse property, with mature trees, all fenced in. House can be lived in while you build your new home.Home sold “as-is”. Open This Weekend – The House Is A Rockin, Come On in!